Posted on December 26, 2014 at 3:32 am. Tonight I came across a really nice tutorial covering setting up Google AdWords call conversion tracking on a website using Google Tag Manager by Red Fly Marketing. If you end up coming across this first, go read it. You may notice I left a comment about CDATA comments. I found that blog post so useful that I am writing this and sharing it before they have replied or I have had a chance to test the code. I have every reason to think it will work but again, I have not tested it. If you’re using Google AdWords call conversion tracking on your website and using Google Tag Manager (or considering implementing it) I think you’ll find it useful. Posted on December 16, 2014 at 4:31 am. On the surface, it seems the Independent is questioning today’s Google Doodle celebrating Wassily Kandinsky. Working in search, I’m adept at ignoring clickbait; I couldn’t ignore this. He is one of my favorite artists. There is no reason to question his being honored with a Google Doodle, he is one of the most talented and notable artists I know of. Upon reading the article, it seems they are not questioning his Google Doodle. The article itself (which I am not linking to due to not wanting to support such tactics) never even mentions anything which seems to indicate it should be questioned and is a tepid and impotent summary. The article is so weak, I wonder if it is programmatically generated. 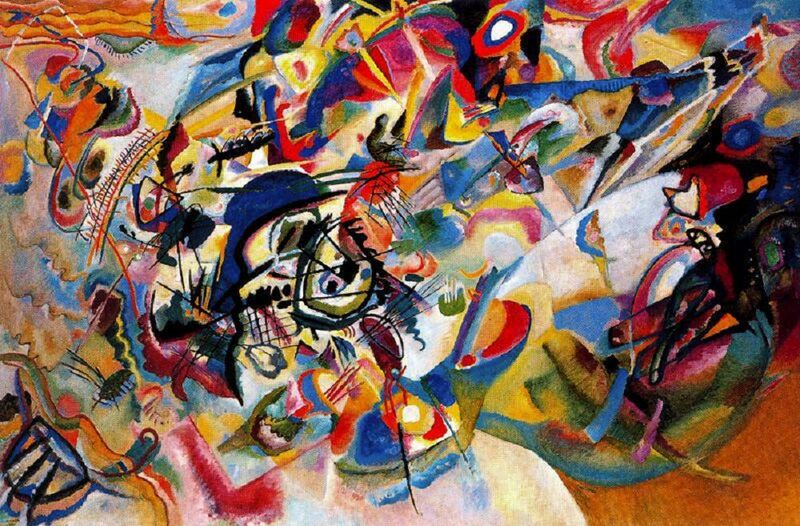 What’s So Great About Kandinsky? It seems that in early January 2015 someone deleted the file (from Wiki Commons) that I reference below due to it being a duplicate. As much as that seems like a petty thing to do, especially if the painting is known by more than one name, I’m going to give the editor the benefit of the doubt and ask why Wikipedia doesn’t redirect deletions? I mean, I know the obvious reason why (crowd-sourcing editing) but in the instance of a wikipedian deleting an image file or other asset because it is duplicated elsewhere, it certainly seems fitting to redirect to that file. Visiting my site, which linked to Wikipedia as an authoritative source (rather than downloading the file and uploading it to my server) and finding it broken really frustrates me and makes me less likely to do so in the future. Yeah, that’s what so great about Wassily Kandinsky. Posted on November 4, 2014 at 8:44 am. If you have ever worked with images, especially in bulk as is often needed for SEO, you know that cameras name images with meaningless hashes. Granted they are generally sequential, so that makes sense within the context of the camera but file names like IMG_63826151.JPEG are meaningless to anyone else in any other context. I mean, imagine your parents are standing next to you as you search for a certain photograph that you know is on your computer. That’s no time to discover that meaningless hashes force you to review the file to gauge its contents. No Siree, I’d rather have that photo named naughty-picture-of-my-girlfriend.jpg then I can be sure not to preview that one when Mom’s in the room. I like image file names to be all lower case, with words separated by dashes, descriptively named and with a 3 letter extension (i.e. .jpg not .JPEG). The Name Changer App by MRR Software makes changes like that easy and quick across any number of files. Need your photos appended with a number? No problem, it handles RegEx and more with ease and yet still has a pleasant intuitive GUI. I suppose there might be better utilities for this out there but this one is good enough that I quit looking when I found it. Plus it’s free (one of these days I’ll donate). Posted on November 3, 2014 at 9:25 am. I use WordPress for my website (this website); I’m aware of it’s shortcomings but all in all quite happy with it. On most sites I work on I install JetPack, but I only really use a few features. I recently decided to try disabling the “wp.me shortlink” and I’m quite happy with the results. Using wp.me shortlinks causes Publicize, which auto-posts to my social media channels, to post links that are non-branded gibberish in the URLs, as shown below. By disabling that feature, my links get posted with my actual domain. As a web professional, I know more about security exploits than the average bear. Auto-posting a wp.me link to Twitter means that the link that shows up is a redirect to a redirect to my site. A URL shortened redirect to a URL shortened redirect…Sounds legit, right? Let me note, I haven’t looked into this but if I see t.co in my traffic reports than I know that people clicked a link on Twitter. If t.com redirects to wp.me how is that traffic attributed? My guess is that any traffic I get from auto posting to social media would be attributed to wp.me and that isn’t useful. Sure, there’s an argument to be made that wp.me links would be auto-posted and t.co traffic would be that which was shared personally. That argument will be valid when and if I ever have time to share links to my own site without auto-posting them. The main drawback to this approach is that the links auto post as links to the default WordPress which is a post ID in a query string. All sites I work on use “pretty permalinks” as they are much more human and SEO friendly, and while I wish they’d post that way, the simple fact is that auto-posting non-pretty permalinks saves me a lot characters so I’m OK with it. Do you prefer the wp.me shortlinks or the defualt WordPress query string permalinks?